Mix all together in a ziploc bag and marinate over night (or first thing in the morning when you are grilling in the evening). This is easily made by doing proportions 2 to 1 of Italian Dressing to Teriyaki Sauce. I use Kikkoman Teriyaki Sauce. 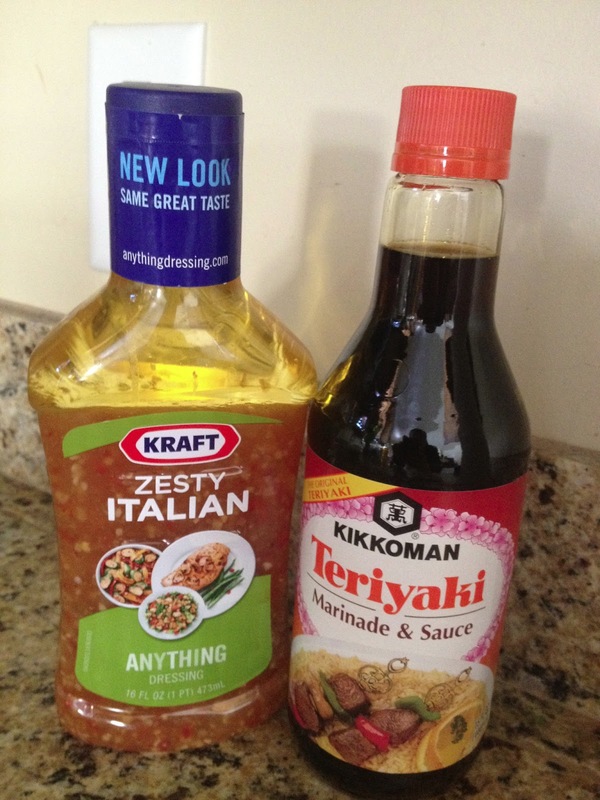 So if you are marinating a small amount, you could do 1 1/2 cups Italian dressing and 3/4 cup Teriyaki sauce. When ready, grill your marinated chicken on your barbecue grill. This makes the yummiest and tenderest grilled chicken I've found!